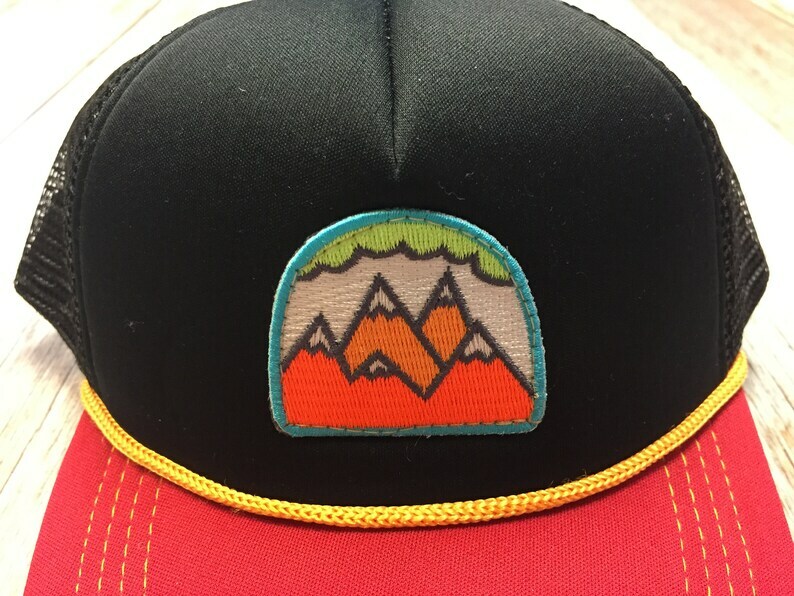 Red, black and gold trucker hat with "5 Peak Mountain" Patch. Fits ages 6 months-2yrs. Hat circumference is approximately 18"-20" inches. Adorable. Will be coming back for more as our kiddo grows!